fit all of their standard trailers in the ‘leisure’ or ‘commercial’ range. 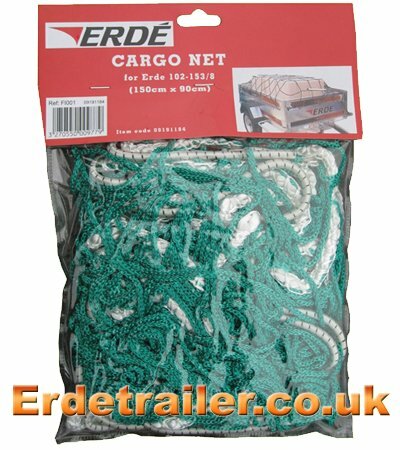 Erde cargo nets are made from high quality elastic cord and heavy duty nylon netting. This type of cargo net is designed to specifically to stretch between the hooks that Erde trailers have on the outside of their body panels.